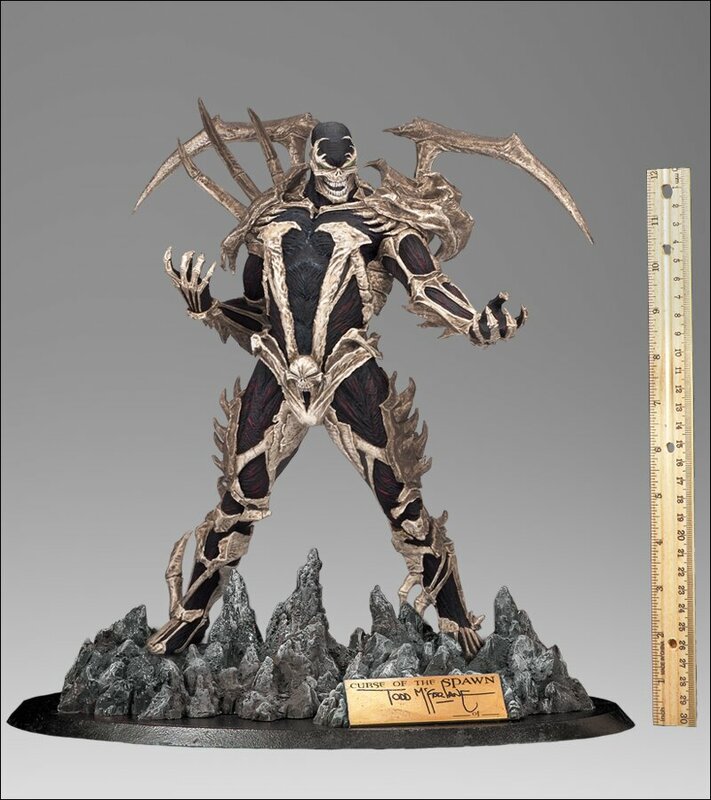 From Todd McFarlane’s Spawn comic book series, a 2D character becomes real thanks to 3D printing. Animators are writers that can’t produce enough best sellers to make a living from their imagination, and artists who were told that art is a trivial frivolity in a world where only the privileged few can afford to indulge in such luxuries. There are much easier ways to produce entertainment than creating a steady stream of images refined at 1/25th of a second, but like every designer who is driven to replicate their ideas in whichever medium is capable of making their dreams real, animators have had access to a plethora of technological advances in the last 20 years that have made possible the notion of achieving that goal whether you’re a multinational company, or a single middle class individual with a cheap computer. 3D printing has always been the next logical step in taking raw ideas and making them real since the first day a neanderthal tried to communicate via drawing on a cave wall. Excluding the most dedicated 2D traditionalists, nearly all animators have at least basic knowledge of software capable of creating 3D objects and exporting them in formats coincidentally compatible with 3D printers. Action figurines of profile projects for character modellers, architectural miniatures for environment renderers, scaled props for stop motion puppeteers, customized parts for animatronic constructions, semitransparent backdrops for lighting and much more are methods that literally every person I know in the industry will be eager to employ. Microtransactions are already a successful business model in apps and computer games: imagine how many über gamers will jump at the chance to order miniatures of their high level avatars and self-customised spaceships or vehicles exactly as they appear onscreen? 3D printing is the forefront of a new generation in fabricating pseudo-reality, in a format that transcends barriers such as language or culture. The long term ramifications of affordable 3D printing are undoubtably far beyond what any of us initially envision, yet people are already dreaming up new ways to alter our world. We finally live in an era where dreamers are not merely just that. Daryl is an amateur animator, inventor and father with aspirations to modify printer technology and potentially produce things such as solar cells, holograms or edible sculptures.